Are you looking to hire a driver in the city of London? If you are, then look no more as we are one of the most prominent ‘hire a driver’ services in London. Hire our drivers who are professionals, have a lot of experience, qualified and are reliable. Our drivers are professionally trained and they can drive all kinds of cars, vans and any truck (up to 32 ton). Do you have any important, urgent deliveries to be made and your driver have called in sick? Don’t worry! We will be able to provide you with a driver in no time. You can hire them on hourly or daily basis, as per your convenience. If your driver is going on a vacation for couple of weeks or even for a month or two, you can hire a driver from our service to replace him. Call us on 02031377797 for further details. Did you just buy a car from any dealership or any other outlet? Are you in need of a driver to help you drive your new car to your home? We can provide you with drivers who can drive all kinds of cars and have full English driving licenses. Our drivers cover all of London and also the surrounding areas. Why choose our driver hire service? In case any questions or booking information, you can call us on 02031377797. The biggest advantage of hiring a driver from our driver hiring service is that, our drivers have lived in the city of London for most of their lives and are aware of all the roads, lanes, landmarks and destinations in the city. If you are new to the city of London, you will benefit from the experience of our drivers who can easily take you any place in the city. The drivers have gone through high standard of professional training in which they have been taught to drive safely and to cater to the needs of our clients in a professional manner. This is why, the clients benefit a lot by hiring our drivers. If you require the driver for overnight stays then you will be expected to provide accommodation and sustenance. There will be a £7.00 Per Hour for this non working period. 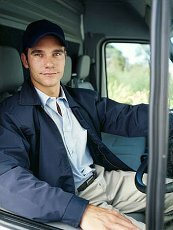 Are you looking to hire truck driver London? If you need to ship your truck to another country, then we can provide you with drivers who are capable of driving all kinds of trucks (up to 32 ton). Our drivers will safely take your truck to the port for the purpose of shipping. They are also capable of handling all the paper works at the shipping docks. If you are looking for reliable truck drivers in the city of London, you can call us at 02031377797. If your regular truck driver is sick or is not able to come to work for any other reason, you can contact us for arranging a replacement truck driver for the day. I just wanted to write and say thank you. Your driver was on time this morning, very polite and couldn't be more helpful. It is a stressful experience when a car breaks down but you have helped to ease some of my anxiety. Along with your very kind assistance when I made the booking, I am very delighted with the service you provided and would not hesitate to recommend you to others.